THP 4-13-013 TUO (Shumake THP) Sierra Pacific Industries, 398 acres; 58% clearcut, 33% no-harvest, 6% selection, 3% group selection, 1% meadow restoration logging. Skull Creek (MD: T5N R16E Sec.25, 26, 34, 35, 36). Winter operations, high erosion hazard, steep slopes up to 75%, small unstable area, 13 road drainage work sites, oversized unit 4113, 9 CA spotted owls within 1.3mi, goshawk nest near units 1489 and 1001, trees up to 150 years old. Estimated public comment deadline: 09/02/13. 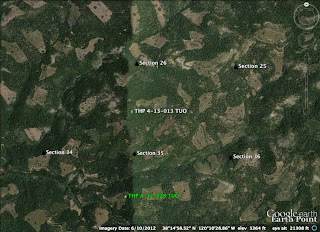 This THP is about a mile east of Calaveras Big Trees State Park, between the town of Dorrington, CA and Beardsley Lake. Sierra Pacific Industries is planning a tractor and cable logging operation in second growth ponderosa pine, sugar pine, white fir and incense cedar at an elevation of 4,600 to 5,500 feet. The THP also includes 3.5 acres of meadow restoration where encroaching conifers will be removed from Shumake meadow. Sierra Pacific Industries is planning to use a tracked excavator on steep slopes for fuels work and site preparation. 131 acres of so called “operational areas” are planned around units where trees can be removed to accommodate yarding, to build fire lines, tail holds, skid trail access, allow road and landing access, etc. Heavy equipment will also be used on an existing skid trail and road within a streamside area, and for meadow restoration in a seasonal wet meadow. There are 13 road drainage work sites planned including rocking, dip construction, ditch cleaning and culvert repair and replacement. 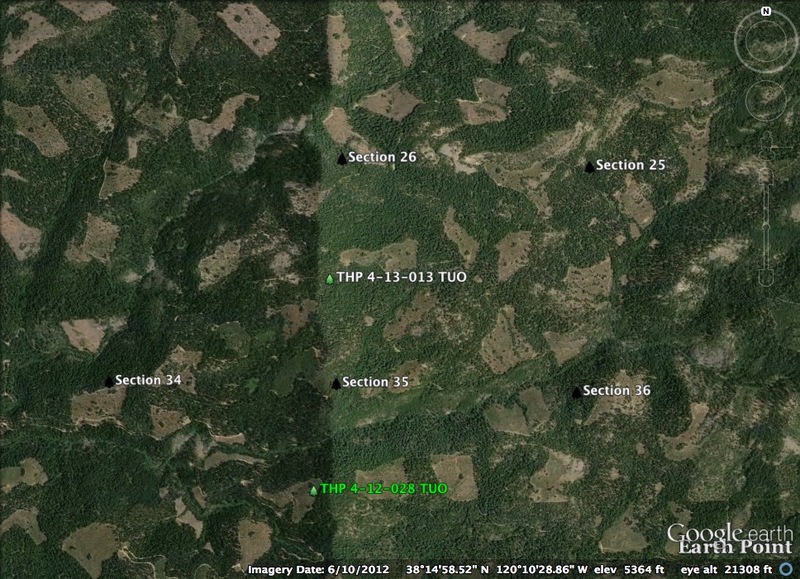 The THP has a small unstable area caused by a failed skid road within a streamside area, and unit 4113 is oversized at 24 acres. A goshawk nest site was reported near units 1489 and 1001, and 4 CA spotted owl territories were reported by SPI within 1.3mi. My database shows 9 spotted owl territories within 1.3 mi (TUO0239, TUO0241, TUO0213, TUO0212, TUO0248, TUO0100, TUO0211, TUO0233, TUO0215). More information is available on the THP Tracking Center website.